Our journey begins from Melbourne and heads inland through the country towns Winchelsea and Colac (brief bathroom stop here and quick stretch of the legs). 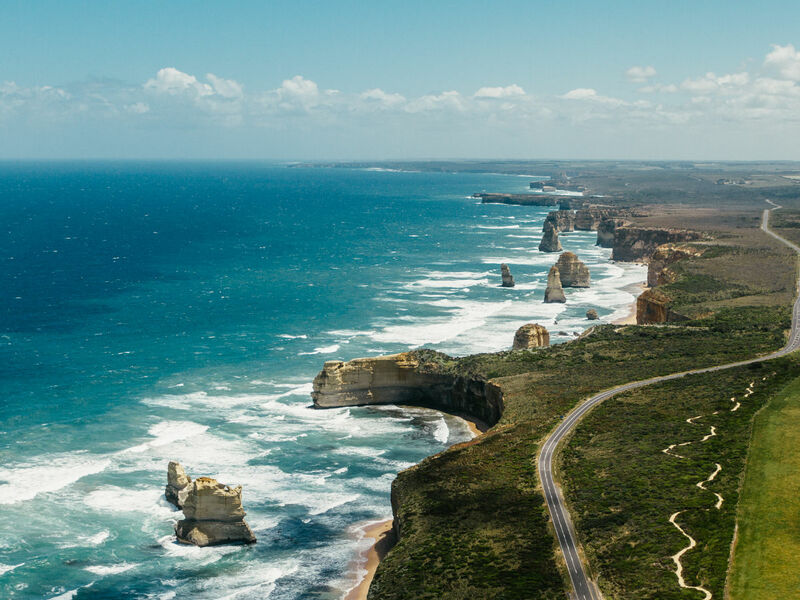 Our guides will tell you all about Melbourne and the regions history as we build to our arrival at the Apostles. Even our Aussie guests tell us they learnt things they never knew about our country! Arriving at the town of Apollo Bay, come with us to try the Australia's most awarded ice-creams. Once again, a family run business (we specifically seek out the best to support), they have won over 300 awards nationally from this one and only location. Sample as many as you like. All made from natural ingredients on the premises. Choose your favourite scoop (included) to enjoy as you stroll the village and its beaches. We will then head up to a beautiful viewing point above Anglesea to enjoy the sun as it lowers on the horizon, catch a last glimpse of the road before we head home and enjoy a selection of fine local cheeses whilst sipping on your choice of a locally produced glass of red or white wine. What a way to finish the day! Complimentary bottled water, snacks and sweets throughout the day. Other days by request - please call or email us. Please note a minimum of six guests is required in order to guarantee a separately requested date. No charges are made at the time of booking until this minimum is reached and you are under no obligation to proceed.